ASLM is managed by a volunteer board of doctors, allied health practitioners and public health professionals, dedicated to making a difference to the health and wellbeing of Australians and New Zealanders, and to improving our health system to better prevent, manage and treat the ‘lifestyle’-related conditions responsible for at least 70% of the burden on our society, communities and families. Chris obtained his medical degree from the University of Sydney. He has subsequently worked in multiple locations around rural and urban Australia, throughout numerous fields of medicine ranging from Indigenous health, addiction medicine and adolescent health. This broad clinical experience drew him passionately towards the field of public health in which he achieved his Masters, also from the University of Sydney. He is passionate about systems of health service provision and strengthening the bonds between care providers and community grass roots. Having always been a lover of the outdoors, transcultural interactions and a generally varied and diverse existence, he is naturally drawn to a more holistic and lifestyle-driven practice style. He is a Fellow of the Royal Australian College of General Practitioners, and recently started working as a lecturer with the University of Sydney. He strives to promote health as a concept far beyond what doctors can discuss within a standard medical consultation! 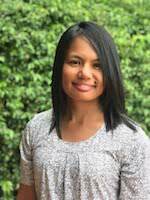 Shivaun is an Accredited Practising Dietitian (APD), Accredited Nutritionist (AN) Health Coach, Certified Trainer & Assessor, Director of Discovery Health Coaching and Vice President of the Australasian Society of Lifestyle Medicine. 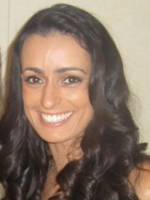 Shivaun has worked for over 15 years as a dietitian, health coach and presenter. 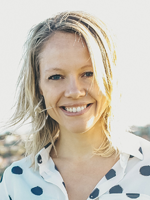 She currently coaches individuals in nutrition and lifestyle, and delivers training for medical and allied health practitioners in health behaviour change, motivational interviewing, and health coaching. Shivaun has co-authored the ‘ASLM Eating Plan for People and Planet’, the Australian Institute of Fitness’ course ‘Nutrition Coach’ and regularly presents at health conferences around Australia. John Stevens is a health sociologist and Associate Professor (Adj) in the School of Health and Human Sciences at Southern Cross University (SCU). He is also a Registered Nurse and the director of a number of companies engaged in health education and research, working closely with Primary Health Networks. In the past John has been Head of the School of Nursing and Health Practices, the Director of Post Graduate studies (which included convening and teaching the first ever Master’s Award in Lifestyle Medicine) and Director of Professional Development and Enterprise, at SCU. 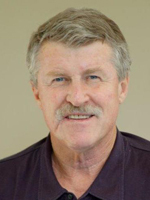 John was a founding member of ASLM and has provided academic leadership to the movement. He is pioneering the use of Shared Medical Appointments as a procedure to help clinicians put evidence-based Lifestyle Medicine into practice. He has over 60 peer reviewed publications including books on dementia and obesity management and continues to explore the translation of science into meaningful and measurable health care. Tanja has been in the general practice network for more than two decades including roles nationally with the former Australian General Practice Network as the Principal Advisor Chronic Disease as well as roles within the state-based organisation of General Practice NSW, and the formerly known North West Slopes Division of General Practice and Central West Division of General Practice. Tanja was previously employed as CEO of the Australian Lifestyle Medicine Association and remains as Secretary on the Board of ASLM. 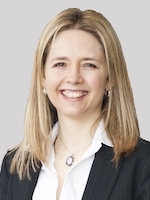 Tanja has returned to the Primary Health Network with a passion for lifestyle medicine, prevention and management of chronic disease, research, change management, quality improvement strategies and best practice business systems to improve patient health outcomes as well as clinician wellbeing. 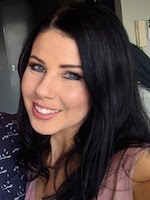 With a thirst for knowledge Tanja has qualifications in psychology, exercise science, health coaching and medical sciences. With her passion for Aboriginal and Torres Strait Islander health, Tanja also holds credentials in cultural awareness and safety and is licensed to use the Flinders University Chronic Condition Management Tools as part of the Closing the Gap Program. After several years of training in Gestalt Psychotherapy and Neuro-linguistic Programing (NLP) with a Post Graduate Diploma in Counselling and Applied Psychotherapy as well as workplace training and assessment, Tanja’s appetite for change management and her desire for the world to be at one with nature has her now undertaking a Masters in Counselling and Applied Psychotherapy as well as an Advanced Diploma of Naturopathy. 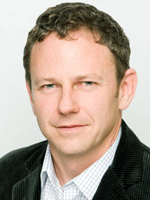 Hamish is a co-founding owner of the Ochre Health Group, and is the Director of Medical Services. Hamish is a NZ medical graduate with experience in General Practice, Emergency Medicine and Obstetrics. Hamish worked in Bourke NSW for 5 years as a GP Obstetrician and since 2006 has been based in Sydney as the Director of Medical Services. Hamish is an examiner for the RACGP Fellowship exam. Hamish is involved with clinical governance, GP research, quality improvement, and clinical support for doctors in the Ochre Health Group. Dr Kate Marsh is an Advanced Accredited Practising Dietitian (APD) and Credentialled Diabetes Educator (CDE) with a Masters of Nutrition and Dietetics and PhD in nutrition from the University of Sydney and a Graduate Certificate in Diabetes Education and Management from the University of Technology, Sydney. She is a Fellow of the Australasian Society for Lifestyle Medicine (ASLM) and the Australian Diabetes Educators Association (ADEA). Kate currently splits her time between clinical practice (specialising in plant-based diets, diabetes and polycystic ovary syndrome) and health and medical writing. Kate has significant experience in health and medical-related writing and editing for both health professional and consumer audiences. 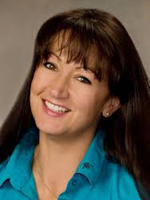 She is editor of the ADEA member publication, the ‘Australian Diabetes Educator’ (ADE), and writes regularly for ‘Diabetic Living’ magazine and several other print and online publications. Kate has published many peer-reviewed journal articles, written four consumer books and has contributed the dietary chapters to several textbooks on the topics of diabetes, vegetarian and plant-based diets, PCOS, insulin resistance, glycemic index and pregnancy. 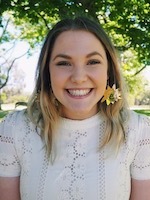 Kate is chair of the ADEA Editorial Advisory Group (EAG), and convenor of the Dietitians Association of Australia (DAA) National PCOS and Vegetarian Discussion Groups. She is on the editorial board for ‘Diabetes Management Journal’ (DMJ), and is a board member for the Australasian Society of Lifestyle Medicine (ASLM). She was a member of the Guideline Development Group for the PCOS International Evidence-Based Guidelines and is a member of the PCOS Centre for Research Excellence (CRE) Translation Committee. Flavia Fayet-Moore is an accredited practicing dietitian, registered nutritionist and sports nutritionist with a special interest in assessment of nutritional status, dietary intake, eating behaviour and chronic disease prevention. Flavia graduated form the University of Toronto with an Honours Bachelor of Science (Nutritional Sciences Specialist and Biology Major). She obtained her Master of Nutrition and Dietetics from the University of Sydney and went on to complete a PhD in nutrition. Flavia’s experience includes working as a project manager and researcher at the University of Sydney, director of Nutrition Research Australia and author. She is an Honorary Associate of the University of Sydney, member of the Dietitian’s Association of Australia, the Sports Dietitians of Australia and the Nutrition Society of Australia. 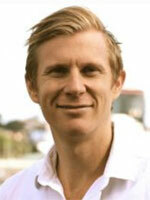 Dr Cam McDonald is a Dietitian, Exercise Physiologist, PhD Scholar and a Leader in Personalised Health. He has a specific focus on creating a culture where the health choice is easy and obvious. He has a working knowledge of how individuals can move to a state of optimal health, and a keen interest in maximising human performance throughout the community. Combining the world’s sciences throughout time, he is driven to help you find what makes you thrive in your life. He has spent the last decade furthering his knowledge and skills so as to promote health in a way that makes it easy and obvious for clients. 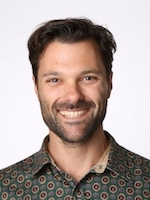 Dr Cam blends his background as a dietitian, exercise physiologist, with his long-standing personal interest in health, and his passion for understanding the latest research in genetics and environmental influence on health. He takes this passion to both the general community, however he has a large focus on improving the education of health professionals in the space of personalised health. He currently spends the majority of his time educating Medical practitioners through to Massage therapists in the application of personalisation, and how it can be readily used to dramatically improve outcomes for their clients. 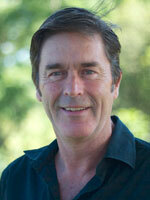 Dr Glen Davies was born in Wellington, New Zealand and trained at the Otago Medical School, 1984 to 1989. He worked as a house surgeon in Tauranga Hospital before he and his wife ventured to Papua New Guinea to work in a Mission Hospital for two years. During that time, he covered the state of emergency created by the Rabal volcanic eruption in 1994. Since then, he has spent time establishing himself in General Practice in Taupo, New Zealand and developed a passion for Lifestyle Medicine. Outside of his practice, he is a multisport and outdoor adventure enthusiast and a father to two children. In addition to our passionate Board members, ASLM has a small but energetic management team in the Melbourne office. Stephen is a Board member and also Executive Director (CEO) of ASLM and the Lifestyle Medicine Foundation. He is also project lead for Open Health, a social enterprise developing a world first online comprehensive lifestyle change program. Previously, Stephen was CEO of the Australasian College of Nutritional and Environmental Medicine (ACNEM) from 2008 to 2013. 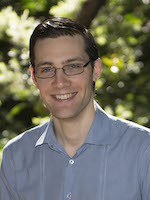 Prior to that between 2004 and 2008, while a Masters by Research candidate at RMIT University, Stephen conducted the widely regarded ‘Yoga in Australia’ study, assisted with research into the attitudes of General Practitioners and Nurses to complementary therapies and was also appointed inaugural Course Co-ordinator of ‘Wellness, Health Enhancement and Lifestyle Management’, an online course he delivered for three years both as an undergraduate elective and as a core unit in the Master of Wellness at RMIT. During this time he also served as Vice President and then President of Yoga Australia. Earlier in his career, Stephen was Financial Controller of an intellectual property licensing company. He brings a strong business, financial and information technology background, academic credentials in both research and online teaching and learning, and a passion for health and well-being to ASLM. Eve is the ASLM Executive Officer. Her role sees her working hard across most projects and initiatives that we embark upon. She has Bachelor of Science (Biomedical Science), a Master of Public Health, and not surprisingly, is deeply passionate about the prevention of chronic disease through Lifestyle Medicine. With previous experience in the not-for-profit sector, she’s very enthusiastic about the incredible value the sector offers the community and always ready to support in any way possible. Jordhana is the Education Coordinator at ASLM. She holds a Bachelor of Health Science (Naturopathy) and has a particular interest in mental health and wellbeing. She is instrumental in developing ASLM’s workshops, online learning, international board certification and fellowship program. She also has responsibility for assessing fellowship RPL applications, supervising the scientific stream at the Lifestyle Medicine conferences and liaising with all applicants and candidates as needed. 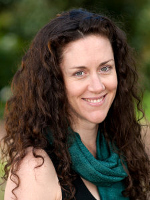 Jordhana previously trained with the Australian Institute of Yoga Therapy and has several years experience as a qualified yoga teacher, holding an Advanced Diploma of Yoga Teaching. She has also campaigned with the Wilderness Society and completed training the field of permaculture. As a Naturopath, Yoga teacher and sustainability enthusiast, Jordhana is passionate about creating Lifestyle changes to support the health and wellbeing of not only individuals, but society as a whole, and she is delighted to contribute her energy to this growing field of Lifestyle Medicine. Abigail is the ASLM Communications Officer. She has a Bachelor of Health Sciences (Health Promotion, Nutrition, Public Relations), is currently completing a postgraduate Master of Communication (Digital Media), and has previous communications and marketing experience in the not-for-profit sector. With a particular passion for health promotion and social justice causes, she is exhilarated to be a part of the ASLM team; contributing to the Society’s work to advance Lifestyle Medicine for the prevention, management and treatment of chronic disease. Her role encompasses digital communications and marketing (website and EDM), social media management, copywriting, editing, and administrative support. Joanne is the ASLM Finance Officer, who’s passion for the outdoors is something to be admired. With previous finance and accounting experience in the not-for-profit sector, Joanne is thrilled to be working in a role that compliments both her expertise and passion for health and wellbeing. She has a Bachelor of Science (Clinical Science), Master of Health Science (Osteopathy), Bachelor of Accounting, and has worked as an Osteopath and Clinical Pilates Instructor in both New Zealand and Australia. She is also a qualified Group Fitness Instructor, with over fifteen years experience in the industry, a Heart Foundation Walk Organiser at her local community centre, and spends her downtime hiking and exploring the many walking trails around Victoria. Good luck keeping up with her!